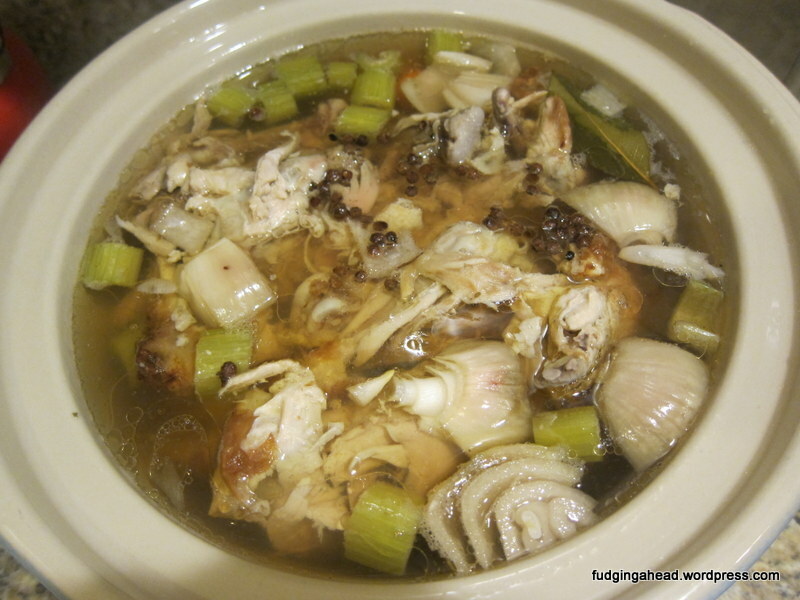 I’ve made recipes in the slow cooker before that yield broth, like this one. 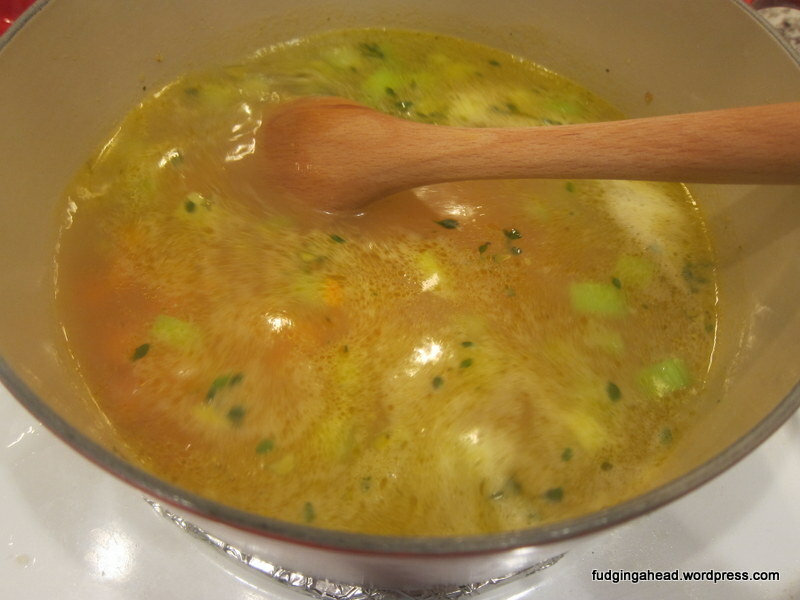 But, I had not seen one where you could take already cooked chicken and turn it into an easy broth. For awhile, I was buying rotisserie chickens from the store and eating them throughout the week for lunch. It was easy and cheap. Well, now I was able to take those carcasses I saved (just in case) and use them for a stock. The original recipe says you need 3-4 chicken carcasses, but I found 2 was plenty. Maybe my chickens run large? Basically, once I filled one of my gallon-sized freezer bags with the bones, I was ready to go. Just like with the roast chicken “recipe”, I decided not to make this an official recipe post because it is more about strategy than amounts. It is also a way of what you can do with the roast chicken carcass from last week. I knew you could do something with it, so after doing some research, I decided to save the chicken carcass and bones after we finished carving it. I made a broth from it, and then made chicken noodle soup. Super yummy and healthy for you, and not too tricky. You could obviously make the soup without homemade broth, but if you’re already making the roast chicken, it’s not really much extra work. Remember how I had you only use 1/2 an onion in the chicken? And you probably had some leftover vegetables…specifically a stalk of celery and a carrot? Here’s your chance to do some good with it!